We’ve all been there. Whether it’s a family road trip or a traffic-clogged ride home from school, car trips with kids can go south quickly. (Ditto for subway rides and bus trips.) Boredom is not a bad thing for kids, but when you’re trapped in a moving vehicle together, it can make everyone feel a little crazy. 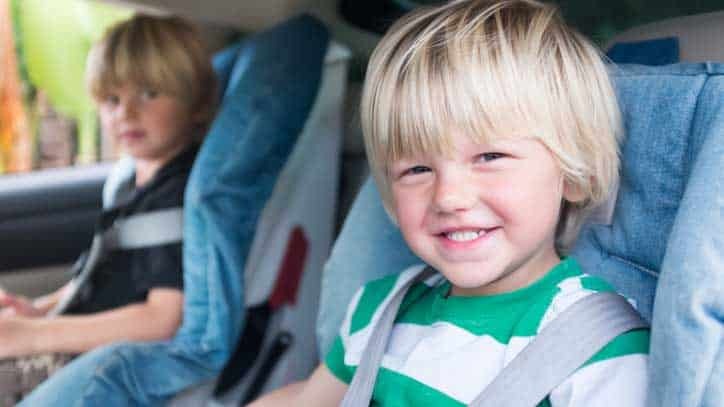 There is the option to put on a video, including some good ones that help kids know what to expect from car trips. But I also encourage my kids to engage in the world around them, even when the world is whizzing by the window. We use a strategy to stay sane in the car, have fun with the kids and even build their brain development at the same time: good old-fashioned car games. 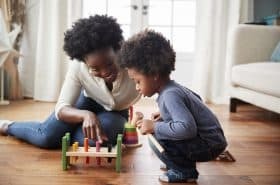 You might have played “I spy” or “I’m going on a picnic” when you were a kid, before researchers even discovered that these kinds of games sharpen cognitive skills like focusing, remembering and thinking flexibly. Experts call those kinds of skills “executive functioning” because they help us set and achieve goals. Attention, memory, persistence and patience are all things kids need to succeed in school and life. And you can help build them — no matter how much school you’ve attended, what language you speak, or how much free time you have — just by playing with your kids while you’re on the go. I Spy: “I spy with my little eye… a dump truck,” says one player, and the other gets to shout, “There!” when she finds it. Then you switch roles. This game helps kids notice their surroundings and use vocabulary. 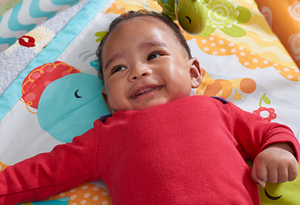 You can incorporate letters, words and numbers as your child starts to learn them. Rhyme Time: One player says a word (bat, for example) and challenges the other to come up with as many rhyming words as he can (cat, hat and so on). If anyone repeats a word, the game starts over. 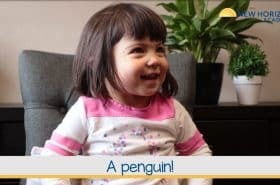 This game is great for memory, and rhyming is an important early literacy skill that helps kids become strong readers. Tip: Remind your child that rhymes have the same ending sound. Name that Opposite: Name a word that has a clear opposite and ask your child to figure out what the opposite is, such as night and day, dark and light, tall and short. This helps kids expand their thinking and remember vocabulary. Twenty Questions: Pick an object, but don’t tell your child what it is. Have him ask yes-or-no questions until he figures it out. This one requires a little support, but preschoolers can get the hang of it surprisingly quickly. Start with teams so you can show your child the kind of questions to ask, and be sure to give him a chance to be the “thinker” while you ask the questions. As your child gets older, try making the game harder by moving on from objects to concepts, like traffic. Storytelling Relay: Start telling a story and, after a minute or so, hand it off to your child to add the next part. She can then pass it on to a sibling or other companion or back to you. Things get interesting – and silly – quickly! This game encourages kids to pay attention; follow the story; understand the concepts of beginning, middle, and end; and be creative. Car Bingo: With just a bit of advance planning, you can make a simple “bingo card” with a grid of things you commonly see on your car (or bus) rides. Take a pencil along so your child can mark off each one as he finds it on the route. This one helps kids engage with their surroundings, focus and learn new words. ABC Game: Pick a category (food, animals, fictional characters and more) and then the players take turns going through the alphabet naming items that fit into that category. For example, food: Apple, Bread, Carrot and so on. These games can keep kids occupied for long stretches of time and, best of all, they are great for family bonding. My family still laughs about the time we played car bingo and our 21st century kids didn’t know what a payphone was; I had to show them a picture on my smartphone! So strap in, start up and get creative. You can adapt these games however you like — my 8-year-old likes to play “three questions” to see if he can figure out which vehicle his construction-obsessed little brother will surely choose. And of course, you can make up your own. Do you have a car game you love to play with your kids?